As part of the ongoing maintenance of our electric distribution system, LYREC crews must trim - and in some cases remove - trees and vegetation that can interfere with the power lines. LYREC will consider removal of a tree within 15 feet of primary wire (runs along the road). Trees growing near service wire (runs into the house) will be removed if they are endangering the line, dead, trunks are rubbing the wire of if they are in a weakened condition. Otherwise, LYREC will trim the trees back 15 feet on each side of the primary line. Why would LYREC trim trees on my property? Right-of-way and easement agreements allow LYREC to access private property in order to maintain our distribution system. This work helps us access power lines for maintenance and repairs, but it also helps us improve the reliability of your electric service. We can't prevent bad weather, but we can reduce outages caused by falling limbs and trees. Our line crews work year-round to maintain the right-of-way. 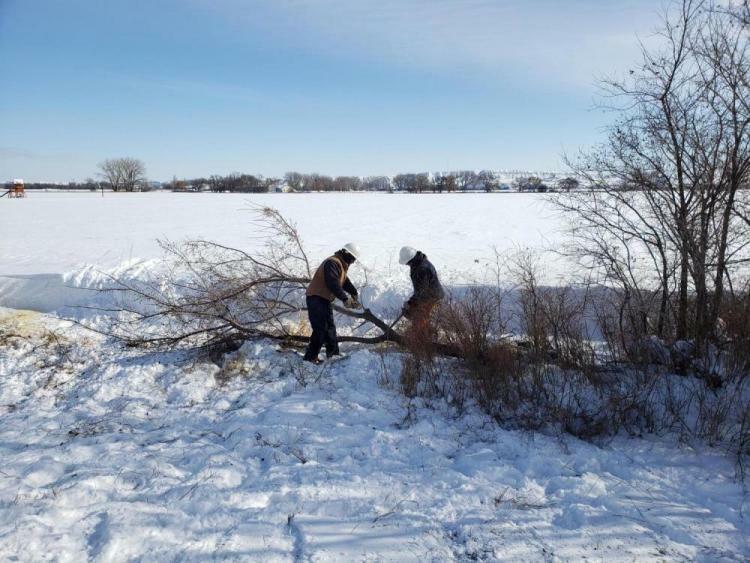 Trimming the trees before bad weather hits, can reduce the chance of a tree falling on the line and cause an interruption of power. 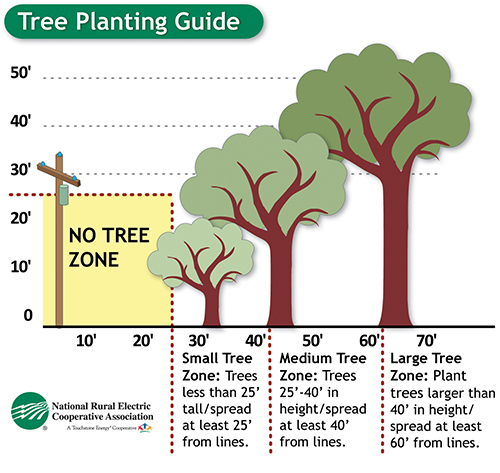 What are the recommended tree planting guidelines? What if I need a tree trimmed that is close to the power lines? As a member of LYREC, we taking safety very seriously. If you have a tree that needs to be trimmed that is close to a power line, call 406-488-1602 and LYREC will trim the tree for you at no cost.